The whitetip reef shark (Triaenodon obesus) is a small shark usually not exceeding 1.6 m in length. This species is easily recognizable by its slender body, short but broad head and its white-tipped dorsal and caudal fins. It is one of the most common sharks found on Indo-Pacific coral reefs. 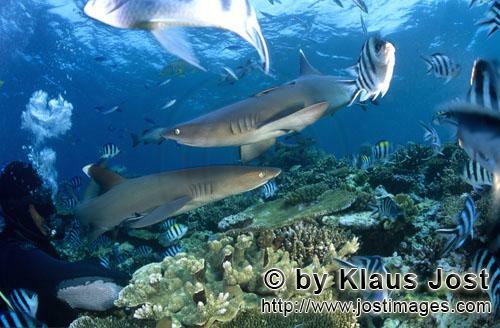 Typically the whitetip reef shark it is found on or near the bottom in clear water, at a depth of 8–40 m.